The ongoing back and forth between the Apple and Samsung legal teams has hit a new stumbling block as a new Samsung ad is found to feature not only near identical content to previous Apple ads but even use the same actress. Having used a number of recent adverts to mock Apple Samsung has seemingly adopted the new tact of simply mimicking the world's largest tech company with the latest Samsung Galaxy Tab 8.9 ad being removed from the company's YouTube channel after it was revealed to feature the same young actress as a previously released iPhone 4S advert. The young girl, whose name is not known, appeared in an iPhone 4S advert following the handsets launch last year in which she tested a number of the handset's features. Jumping to Apple's leading rival the same actress has now also appeared in a recently release Tab 8.9 ad performing many of the same tasks on the new product. Far from the first time these two companies have come to a head Apple has repeatedly accused Samsung of “slavishly copying” its design, technology, packaging and advertising styles. 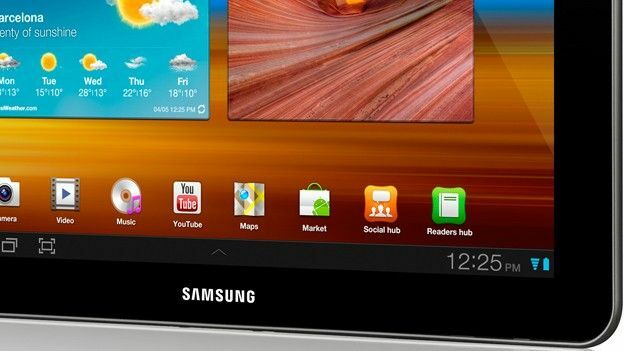 Following a long legal battle Samsung overturned a longstanding injunction held by Apple just weeks before Christmas that had prevented the Samsung Galaxy Tab 10.1 being sold in Australia. With the two adverts available to view below tell us if you think Samsung has gone too far in its imitation of Apple's past ventures? You can share your thoughts via the comments box below or across the T3 Twitter and Facebook feeds. Award for the shakiest video goes too..
T3 looks at Toshiba's top end tab. Is it an iPad killer?